As a manufacturer of environmentally friendly products, it is always our goal to find new ways to be even more green in our business practices. 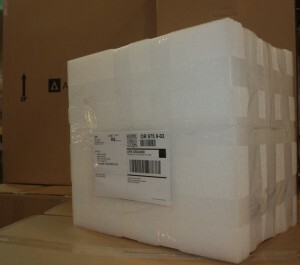 In January 2009 we decided to implement a foam packaging recycling program to help reduce our environmental impact. In order to ensure that our fans reach customers throughout the country without damage, they require robust polyethylene foam packaging. Polyethylene is a highly elastic and strong plastic that can withstand multiple impacts, making it ideal for shipping heavy objects such as whole house fans. 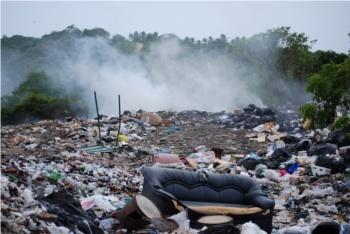 Unfortunately, both the production and disposal of polyethylene, like all plastics, causes serious damage to the environment. In many parts of the country polyethylene foam is difficult if not impossible to recycle, so most of it ends up in a landfill. The only way to reduce the hazards of plastic is to reduce the production of new plastic products. 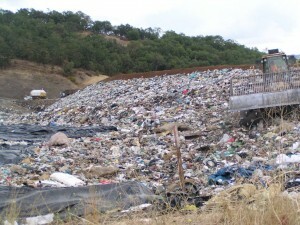 This is done by both decreasing overall demand and increasing the recycling of plastic. Our program allows us to reduce our need for the production of new polyethylene and also reduce the total amount of plastic being thrown away. We reuse the foam as many times as we can and then we recycle it, ensuring that the foam returned to us does not end up in a landfill. It is immensely satisfying to us that we have had great customer response to this program. Almost 1 yearÂ into the program and we have an average return rate of 42%, and the numbers are constantly increasing! My personal goal is to achieve a 50% return rate by next Spring, and with the return rates always increasing, I believe we can easily achieve this goal. We owe a big thank you to all of our customers who have supported this program. We would also like to send out a hearty thanks to UPS, who has kindly begun waiving label printing fees and also begun offering us a discount on our return packages. With the help of UPS, our foam recycling program has been made more financially viable for us to continue in the future. For the last 7 months, we have been including return labels for the packaging foam on most of our whole house fans. The idea was to see if it was practical to ship the engineered foam inserts back to us for re-use. The payoff would be less garbage, and in this case less energy used. 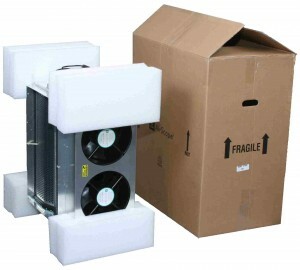 There is a little bit of work required on the customer’s part like packing up the foam and taking it to a UPS drop off. That was our concern. Would anyone bother ? Not everybody did. Perhaps they recycled locally. Perhaps they want to save the packaging. At any rate, over the last seven months, we have had a 34% foam return rate, which is actually better than 34%. See below and take a math lesson at the same time. The bottom line is that instead of a truck load of 2,000 foam inserts being used once, they will be used 2,000×1.51 = 3,020 times! It actually costs us a little bit more to have customers send the foam back, but we think it’s a worthwhile cause ! And… Thanks to everybody who participated. The vast majority of our whole house fans are shipped to the customer by UPS. Now they are a wonderful company, full of energetic 🙂 employees, who find that the best exercise is at work. Translated out of politically correct speak, it means that they throw our stuff as far as they can. Faced with this athletic problem, we have developed and tested some great packing solutions. What drives us nuts, is that this typically means packaging our WHF’s in wonderful, resilient, polyethylene foam. Not only is the polyethylene foam expensive (it’s worth it), but more importantly it either goes straight to the landfill or at best is ground up and recycled. Our goal was to go one step better and re-use the packaging foam. Each time that we re-used the plastic foam, that would be less plasic in the landfill. If we were lucky, maybe we could save some money along the way :-). Since we ship our whole house fans throughtout North America, our first concern was the cost and inconvenience involved in shipping the foam back to us. We decided that if we had to provide another box to ship the foam back in that would be counter-productive. However the foam has to be assembled into something resembling a package. What we came up with is to send a small roll of packaging tape. There is some inconvenience for the customer. They have to tape the foam together, attach the return label, and drop the “package” at a UPS store or truck. It will be interesting to see how customers react to this. This is what the returned polyethylene foam looks like after being returned to us.